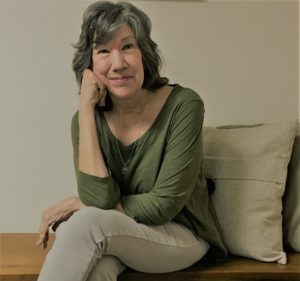 As a Buddhist meditation teacher and counselor, Linda has been helping people find greater clarity, peace and fulfillment in their lives for 35 years. Sparked by a deep interest in spirituality at a young age, Linda traveled to Nepal, India, Thailand and Indonesia in the early 1970’s. From these experiences, she was deeply drawn to the Buddhist path which she has followed ever since. As her life unfolded, she earned degrees in psychology and Clinical Social Work and began a career as a psychotherapist while also delving into the practices of Yoga and T’ai Chi. Over time, a natural melding of her clinical training with the wisdom and skills gained from the eastern spiritual traditions took place. Linda has now been teaching her integrated approach to living a balanced and joyful life for more than 20 years. Her offerings reflect the embodied experience of her years of practice along with eloquent teachings on the richness of spiritual life. She delights in creating individual sessions, classes, workshops and retreats centered around mindful awareness, happiness, silence and presence. Linda’s gentle, light-hearted approach creates a compassionate space for students to begin to free themselves from suffering and awaken to the purity and light of their true nature.